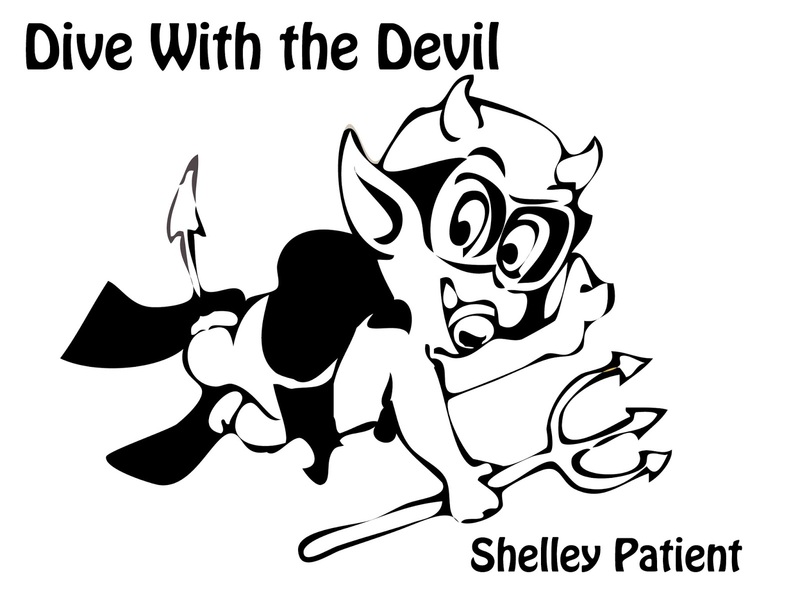 Dive with the Devil... on the Devil's Gas!! Nitrox was actually one of the first specailties I took after certifying as a Scuba Diver﻿. At the time, I had no idea how useful and well-used this certification would be but with time, it has become apparent. 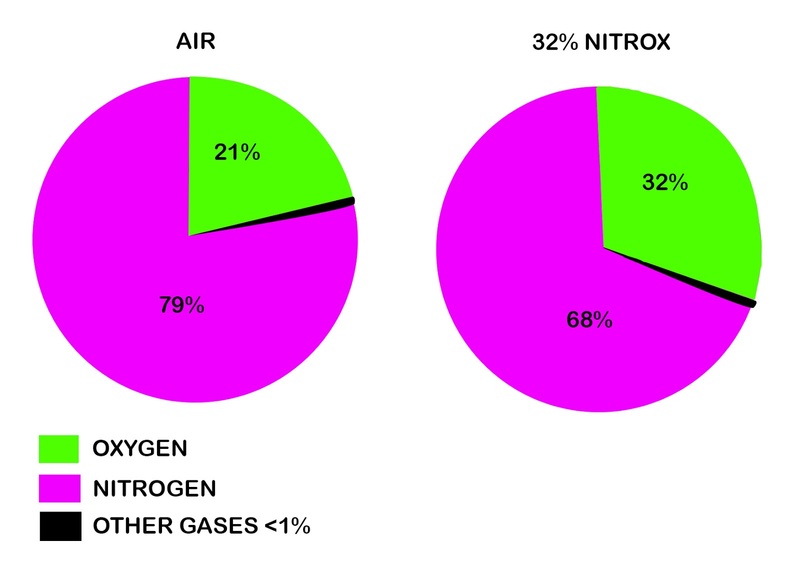 Nitrox is quite simply air, with a bit more Oxygen added!! 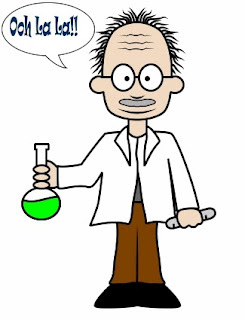 Back to school science, you may remember that the normal air that we breathe is made up of around 78% Nitrogen and 21% Oxygen with a few other gases that barely make up 1% and so are negligible. For the sake of ease, we say 79% Nitrogen and 21% Oxygen. Nitrox contains more Oxygen, so something must be removed from the mix to accommodate for it. So, we have more Oxygen and less Nitrogen! 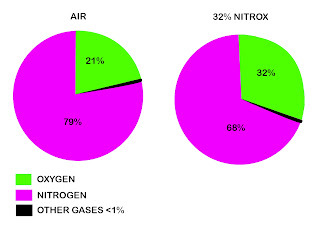 As you can see in the diagram above, 32% Nitrox contains 32% Oxygen and 68% Nitrogen. 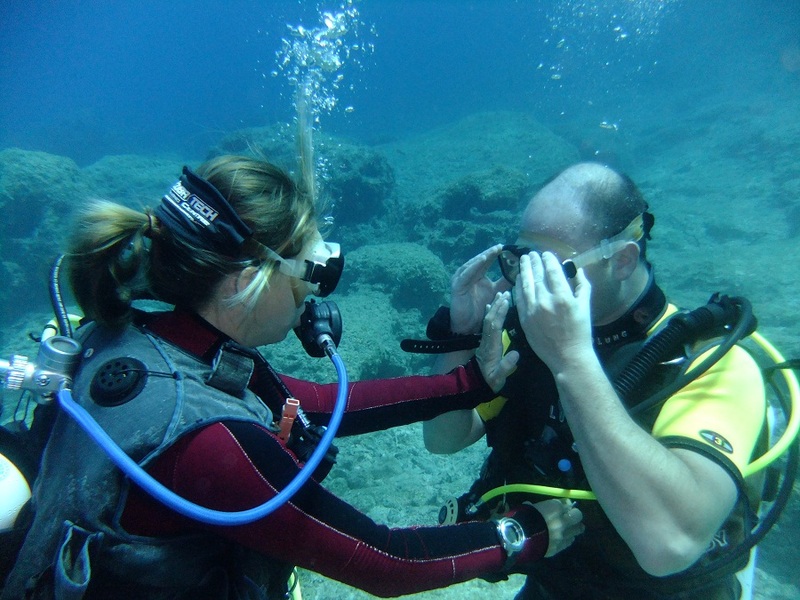 Think back to your initial Scuba Diving Training and Decompression Planning. The gas in your breathing mix, which limits your time underwater is Nitrogen. While we breathe underwater, we have a certain amount of time we can stay at depth before our bodies have absorbed enough nitrogen that a direct ascent to the surface would not be possible. If we overstay this time limit, we have to complete decompression stops (as opposed to the Safety Stop that we all make in recreational diving) to prevent the nitrogen coming out of our bodies too fast and forming bubbles (decompression sickness). By reducing the amount of Nitrogen in the gas we breathe, we can extend the amount of time we can spend at depth. With 32% nitrox, you can spend almost twice as long at 30m than you can when you breathe air! The biggest health benefit for Divers Diving Nitrox comes into effect when you dive Nitrox on air tables. This means you take the conservatism of diving on air (shorter no decompression limits) but have the added "buffer" of increased Oxygen in the mix. This means the diver stays that bit further away from Decompression Limits and should be better for the Diver!! 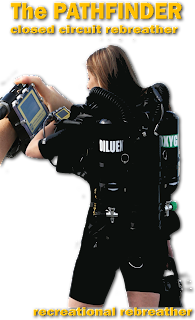 Although, be aware, if you are using Dive computers set to air while you are in fact breathing Nitrox, you must know your Maximum Operating Depth so you do not accidentally exceed it because your computer says you can! What's a Maximum Operating Depth? Oxygen is not a deep Diving gas. In fact, the deeper we go, the less Oxygen we can use. Deep Divers, heading down to 100m will use a hypoxic breathing gas with around 12% Oxygen, which is too little oxygen to be breathed at the surface. This is because, Oxygen becomes toxic when breathed at certain pressures. 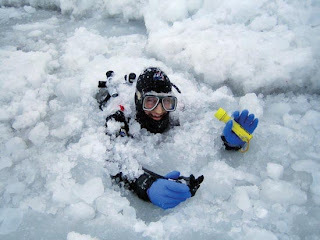 So we must know the Maximum Depth (MOD) we can safely dive our breathing mix to. Nitrox is perfect though for the recreational limits between 15 and 40m and Divers must work out their MOD for the mix they are breathing. For example, 28% nitrox can be safely breathed down to 40m, whereas 32% nitrox can be safely breathed to a depth of just 33metres. This all comes with the training. For multiple diving around the 30m range, I don't think you can beat diving with Nitrox, simply for the benefit of the added time you get to spend underwater enjoying the sites and wrecks and it is definitely becoming more mainstream today. All the major agencies now offer Nitrox training courses and it is, not suprisingly, one of PADI's best selling specialties. So, if Nitrox is the Devil's gas, I am certainly the Devil...Gas me up!!! Diving in Cyprus, we are fighting the long fight against the over fishing which is endemic in this region. We can dive on a Saturday and see lots of various fish life in abundance all around the coast line and come back on a Monday to find all life has been decimated. It is a terrible shame, as the fishlife does not take long to replenish and if it could just be left to give the fish a chance to grow to maturity, we could start taking on the more established Diving destinations. However, in the midst of all this, there is one sea creature, which never fails to be seen on a Dive in Cyprus. 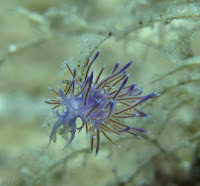 More abundant in the winter months when the waters are cooler but ever present in the deeper waters under the thermocline in the Summer, I am, of course, talking about the beautiful Nudibranchs. 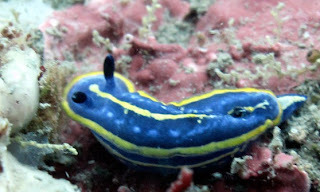 Nudi's (as we like to call them) are a group of soft bodied, gastropod mollusks. Unlike others of this kind such as; whelks, conches and periwinkles, the nudi sheds it's shell after the larval stage. The word nudibranch comes from a mixture of Greek and Latin meaning "Naked Gills" and they can be distinguished by their striking forms and exquisite colours. Found everywhere around the world and in every ocean and sea, the number of species of nudi that have been described is around 3,000 and new ones are being identified almost daily!! They are most commonly divided into 2 types. Dorid's have the Branchial Plume that forms a cluster on the posterior of the nudi's body. Aeolid's have Cerata instead of the Branchial Plume. Cerata are dorsal and lateral outgrowths on the upper surfaces of the body. 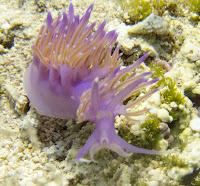 Here in Cyprus, the most commonly seen Nudibranchs are Aeolids. 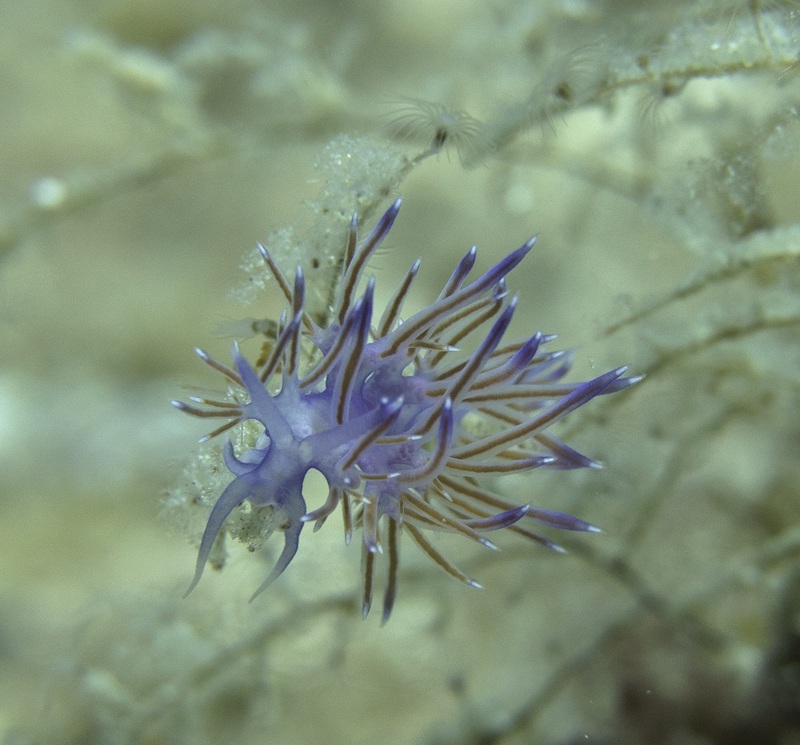 "Flabellina Affinis" (purple nudi) and the "Coryphella Pedata" (white tipped nudi) both have Purple bodies but while the purple nudi is entirely purple, the white tipped has (yes, you guessed it) white tips on their cerata! have sensitive antennae like protrusions called Rhinopores on top of their heads for detecting taste, smell and prey. They may be small but all nudibranchs are Caniverous animals. 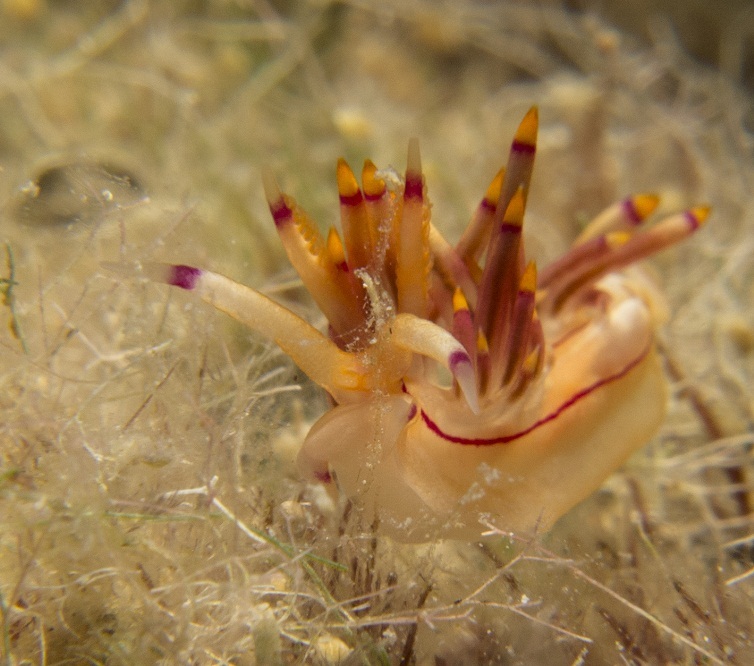 They feed off sponges, hydroids, other sea slugs and their eggs and some nudi's are Cannibals, preying on their own species!! Not so cute now are they? 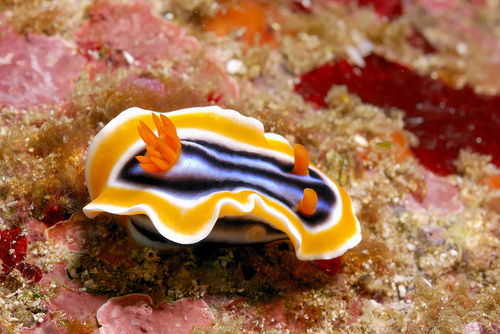 It is believed that the nudibranch's derive their colour from the food that they eat. Some camouflage into their surroundings while others have bright colours that stand out with vibrance which acts as a deterrent to predators. 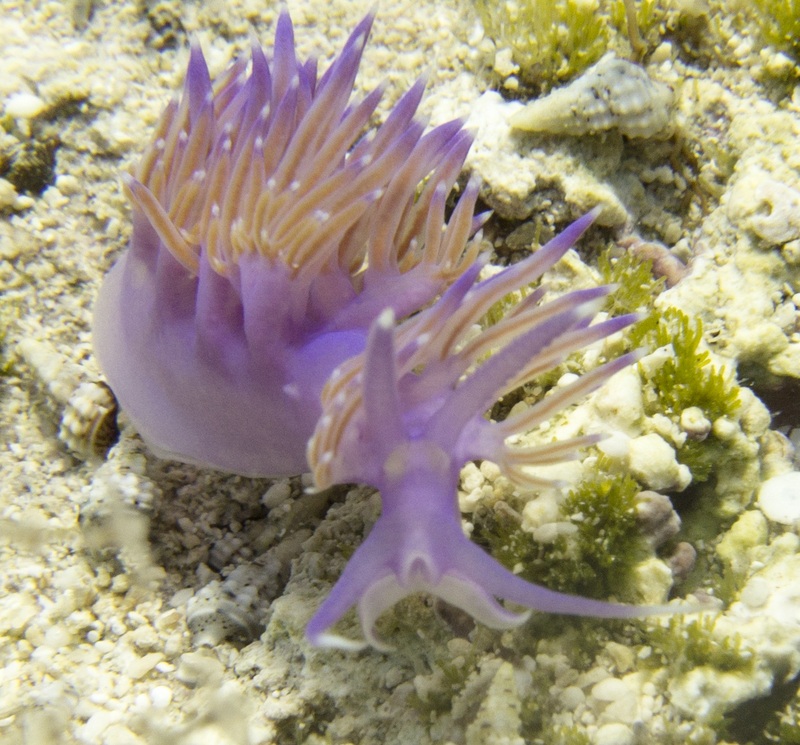 As a general rule, we are all taught, "the brighter and more colourful it is, the more dangeous it usually will be".Some nudibancs can even retain the poison from their prey to secrete as a defence mechanism against predators. However, even with all these defences, the lifespan of the average nudi in the wild is only up to a year! We used to see many different varieties of nudi here in Cyprus including the Tri colour Doris or the elegant slug but these are becoming fewer and harder to find around the Island, so let's appreciate the ones we have while they are here!! I for one, am a big fan of the little nudi. Thinking back over my years as a diving instructor in Cyprus, I began to think about the number of Divers that have come through the doors and the mis-understandings and cons I have seen over the years. The problem is, that unless you know better, you do not generally know what to expect with a Beginner's Diving course, such as PADI Open Water, BSAC Ocean Diver etc but there are a few things that you should get with any of these courses. relevant Diver theory you will need to pass the course and build a solid knowledge base for future training and Diving. 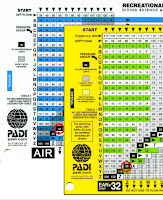 PADI insist that each diver have their own manuals for each course, enabling the diver to have a reference to any of the information from said course in the future, which is a very good idea because, as a beginner, trying to cram all that information into 4 days means only a fraction of it will be retained and a lot of it will probably be forgotten quite quickly. With the advent of online learning, manuals can now be replaced with an online code, which allows you to do the knowledge portion of the courses on-line. Fantastic for some but, I still like to have the solid manual in my hands and it is always best to check whether it will be cost efective for you. I have found the online training usually works out to be more expensive and you don't have the benefit of your instructor there with you to answer questions you might have along the way. By the time you get to see your instructors, you will have forgotten what those questions were!! 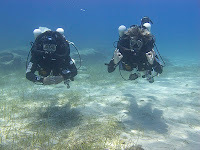 Each agency breaks down the Diving Courses into Open Water Dives and Confined Pool Sessions. An easy way to check what you should be doing on the Courses is to check out the Agency's own website and it will describe the components of the courses. 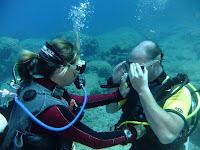 So, for example, the PADI Open Water Course has 5 Knowledge Development Sessions, 5 Confined Water Skills Sessions and a minimum of 4 Open Water Dives. BSAC Ocean Diver has some theory and knowledge development, 5 Confined Water Skills Sessions and 5 Open Water Dives. 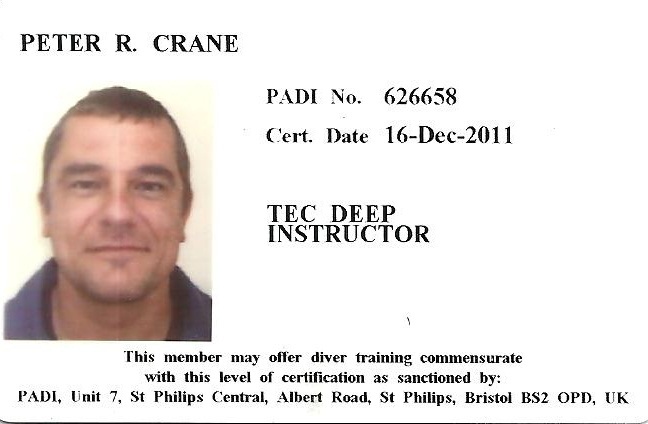 No portion of the course should be signed off until the diver is comfortable and competent at that level. Remember that these courses are supposed to take a minimum of 4 days and trying to squeeze it into 2 or 3 is not going to produce high quality divers that can look after themselves in the water. 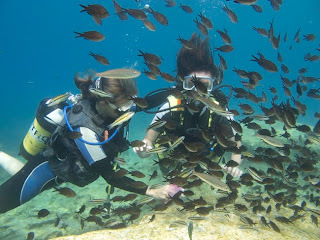 At Scuba Tech Diving Centre, we try to give our student divers even more time for diving by incorporating an extra Open Water Dive after each skill session. This is beneficial to the Diver, as you can only improve at Scuba when you spend more time in the water. However, I stress this is an additional dive and does not count as one of the 4 mandatory Open Water Course Dives. Do not allow the Dive Centre to combine your Skills Sessions with these compulsory Dives, as it is breaking standards and, as a trainee, you will not benefit from less time in the water! I think back to around seven years ago and a Diver walked into the Dive Centre here in Cyprus as an Open Water Diver wishing to Dive Zenobia. We explained that you must be a minimum of Advanced Open Water for us to take you on Zenobia and he expressed an interest in taking the Advanced Course. On production of his certification cards, it appeared he didn't have any. Having done his training in Mexico, all he was given was a sheet of A4 paper stating "This Diver is certified to Open Water Training Level with the Diving Agencies; PADI, SSI, Naui, BSAC and CMAS" with an illegible instructor number at the bottom. The gentleman in question was obviously devastated as he had paid a lot of money for something that wsn't real. He had even gone out and bought all his own equipment. Unfortunately, there wasn't a lot we could do to help other than re-train and get him a proper certification card. 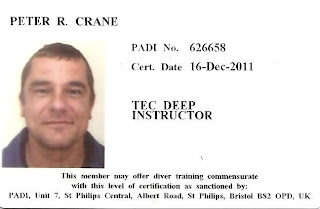 In resort, you should receive a Temporary Personal Identification Card (PIC) on completion of your training either in paper format from the dive centre or via email direct from the agency. These temporary cards last approximately 90 days, which should be plenty of time for your actual plastic card to come through the post to you. If you do not receive the actual card, contact your instructor, who will be able to contact the Dive Agency direct to sort everything out. Your certification card will usually have your picture on it too. Most Diving Agencies set ratios for the number of Student Divers that one instructor can teach at any given time. The maximum is usually 4 students per instructor but more students can join the group if the instructor has a Certified Diving Assistant. Think about the quality of the training you will receive if you Learn to Scuba Dive in a big group like this. Sometimes, maybe it is better to pay a little more and get one to one training or just be in a small group of 2 divers to one instructor. Surely, this is better value for money! So, there you have my guidelines for a Beginner's Diving Course. Regardless of which agency you decide to learn Scuba with, bear these tips in mind and know what you should be getting for your money and your Diver Training can be the best investment you will make. We all learn about Nitrogen Narcosis from our very first Diving Courses, be that with PADI, BSAC SSI, Naui, CMAS or GUE. It is an important consideration for any dives that we make but how well is it really understood in the Diving world? A Greek word (ναρκωσις) narcosis is derived from "narke", which means " temporary decline in, or loss of senses and movement". Essentially, it is an alteration of consciousness as a result of the gases in our breathing mixes acting under pressure and a mixture of Dalton's and Henry's laws. Dalton's Law states that the total pressure exerted by the mixture of non-reactive gases is equal to the sum of the partial pressures of individual gases. Henry's Law States that at a constant temperature, the amount of a given gas that dissolves in a given type and volume of liquid is directly proportional to the partial pressure of that gas in equilibrium with that liquid. This goes back to decompression theory and the fact that, in the most basic terms, as we go deeper and the ambient pressure increases, more of the inert gas that we breathe dissolves in the body to balance the pressures of gases in the body with the surrounding pressures outside. Very interesting, you say! I remember those laws now but what does that have to do with Nitrogen Narcosis? Well, let's look at what we believe to be the history and mechanics of Narcosis first. Narcosis was first described back in 1834 by Victor T Junod, who was a French Researcher. His description referred to symptoms of intoxication being present and he surmised this was due to the increased ambient pressure increasing the blood flow in the body, which stimulated the nerve centres. There were a few more theories over the years and much of our knowledge of Narcosis today is based on the study of anesthetics. The best theory we have for Nitrogen Narcosis at the moment is the Meyer-Overton Rule. Around 1900, Meyer and Overton (independently) observed the potency of general anesthetic gases by testing their solubility in a simple organic solvent. They used Olive Oil as the organic Solvent, which represents the lipid bilayer found in our bodies, which make up the cell membranes of almost all living organisms and viruses. Inert gas dissolves into the nerve cells lipid bilayer (Henry's Law) and causes narcosis by altering the nerve transmission in many diffuse areas of the brain resulting in symptoms described as; Euphoria, Over Confidence, Anxiety, Loss of Judgement and/or Paranoia. 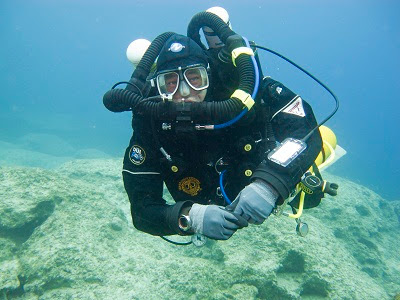 We Diving instructors often teach our students about Narcosis by describing the "Martini Effect". This is a comparison between the way we act as we go deeper underwater and the way we act when we consume alcohol. Essentially, for every 10m we descend, it is likened to drinking one martini. Even Jacques Yves Cousteau famously called it the Raptures of the Deep!! Is it just Nitrogen that causes Narcosis? As you can see, our two primary gases in the breathing mix; Nitrogen and Oxygen are similar in Narcotic Potency with Oxygen being slightly more Narcotic than Nitrogen. So why don't we worry so much about Oxygen Narcosis? It is believed that the Narcotic effect of Oxygen is actually lessened becasue our bodies metabolise it but, to be safe, we are taught to assume Nitrogen and Oxygen have the same Narcotic Potency. The suprising Gas I think is Carbon Dioxide. With such high solubility in lipids, we can see why it is such a dangerous gas and how Hypercapnea can kill a Diver. Carbon Dioxide causes increased blood flow to the brain and is therefore, believed to increase and augment the narcotic effect of the other Gases too. This is why it is dangerous to complete hard, strenuous activity while diving and Skip Breathing or Shallow Breathing is BAD!!!! As you can see from the table, the least Narcotic breathing gas is Helium, which is why deeper divers tend to opt for a trimix containing lower percentages of Nitrogen and Oxygen and filling the gap with Helium. Some agencies even advocate trimix within recreational limits. For example GUE (Global Underwater Explorers) suggest that below 30m, breathing mixes should contain helium for less narcosis and better Work of Breathing. The full complexity of Narcosis is not yet fully understood. However, the mechanism and primary agents responsible seem sufficient at the moment for us to make good decisions with regards to the gases we should use at certain depths while diving. Recognising symptoms can be difficult due to the impairment they cause. The most dangerous aspect of Narcosis is the loss of good judgement and decision making abilities. If not recognised, these can lead to drowning. Good job we have our buddy there to help us out then!!! To prevent Narcosis, avoid deep diving, strenuous activity, being cold, stress and Carbon Dioxide retention. If you are diving deep, use the correct gas mixes for the depth and keep your Equivalent Narcotic Depth above 30m. Should you feel the symptoms of Narcosis, simply ascend and you should feel the symptoms diminish, although I have read reports recently that they may not vanish altogether until hours after you have surfaced. Narcosis seems to be another Diving Problem that we are still only just learning about. It is dependent on the individual Diver's susceptibility to Narcosis and their health on the day of the Dive and many other variables that we just do not know enough about. and if Nemo looks like he needs your reg more than you do, you are probably narked!!! Rebreather Diving... Is it the future of Scuba? It seems like a strange question since I am a Megalodon Rebreather Instructor. Am I questioning whether Diving a Rebreather is the way forward? Certainly not! But, is Rebreather Diving the future of Scuba? Since I have a TDI Megalodon Rebreather Mod 1 course running this week, this is at the forefront of my thoughts. 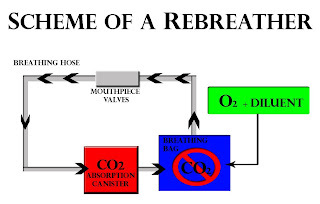 In the most basic terms, a Rebreather is a breathing apparatus that recycles the air that you exhale, removing the Carbon Dioxide (CO2) and re-injecting Oxygen (O2) to replenish that which you metabolise with each breath. 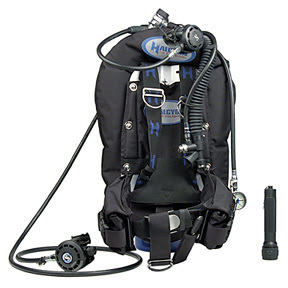 Rebreathers are not limited to the Underwater World. You can also find them being used by Firefighters, Miners, up mountains, in hospitals and even outer space! In fact, you can find rebreathers being used in many places where the breathing supply is limited or the environment is toxic. But we are talking about rebreathers that are used for Diving purposes. When we breathe underwater on regular open circuit scuba, we actually waste a lot of gas. With every breath we only metabolise around 4-5% of the inhaled Oxygen and the rest is exhaled into the water column and is wasted. Rebreathers are a means of making this gas management more efficient and since I am a Megalodon Instructor, I will focus on this unit. The Megalodon is comprised of 2 cylinders of gas; one Oxygen to replenish the Oxygen that our bodies metabolise as we breath and the second can be either a trimix or air, which is used for inflation and to "dilute" the oxygen in the mix. Therefore, we call it Diluent. These Cylinders are attached by mounts to an aluminium canister with a scrubber inside. So called because the Scrubber unit contains a lime product which reacts chemically with our exhaled Carbon Dioxide to "scrub" it from the breathing mix. We use sofnolime 797 in the Meg and there are 2 types of scrubber you can have; Radial or Axial but this is another topic all of its own. At the top of the scrubber can is the "Head", which contains the Oxygen Sensors (3 of them) and the battery packs and is attached to the Primary and Secondary hand sets, which give you the information you need to dive the rebreather. On the Meg, both handsets are completely independent so that, were one to fail, you could surface safely on the other. Fixed to the can and the cylinders is the loop and the counterlungs, which are the parts we breath from. The counterlungs are collapsible bags and are needed because without them, it would be like trying to breathe from a plastic bottle and the work of breathing would go through the roof! The loop itself has the mouthpiece and a shut off valve to prevent water entering the loop when it is out of our mouths. Obviously, there are a few other bits and pieces but these are the main components needed to explain how the rebreather works. As you can see from the diagram above, as we exhale, the exhaled gas is passed through the scrubber unit to remove the Carbon Dioxide from the mix. It then passes along where a solenoid injects oxygen to replace that which has been metabolised and makes the gas breathable again. 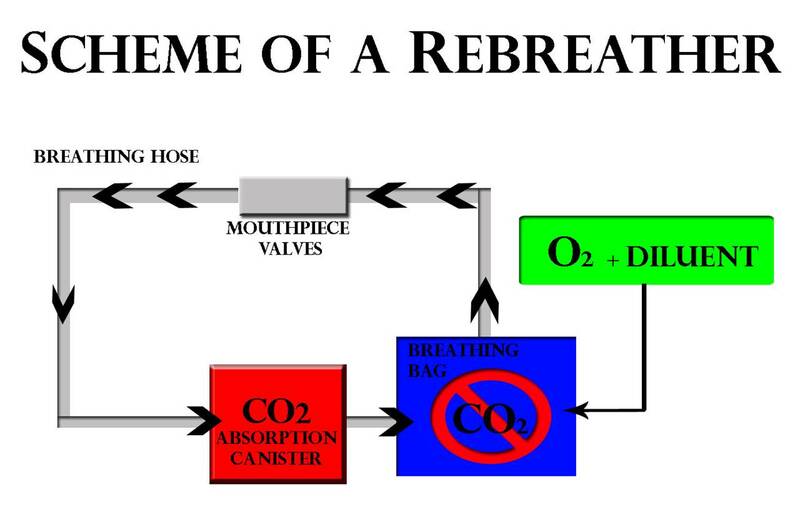 The amount of Oxygen injected is dependent on how you set the rebreather initially. The Megalodon is a fully electronic closed circuit rebreather, which means it is run by the electronics. We set them to work by Partial Pressure of Oxygen (PO2) and usually tell the electronics to maintain a PO2 of 1.2 or 1.3. This is called the set point and, once this is set, the electronics can detect how much Oxygen to add to provide you the diver, with the optimum breathing mix for the depth you are at. 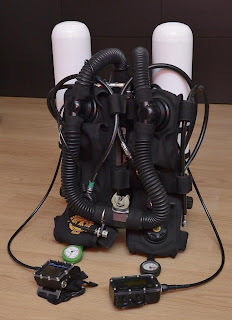 I believe that rebreathers are the future of diving but they are also the past, as CCR was around long before the advent of the Aqualung, single tank BCD and regulator set up. The oldest known rebreather prototype was patented in France back in 1849 by Saint Simon Sicard (although the ideas were around from as early as 1808) and the earliest models were based on an oxygen reservoir and used sponges soaked in calcium carbonate to absorb the CO2. Obviously things have become a little more refined and reliable since those days but the principles remain the same. Your mix is dynamic, so you are always breathing the optimum mix for the depth you are at. It is like having a nitrox/trimix mixing panel on your back as you dive. Obviously, this has an effect on your decompression obligations, reducing the time you have to sit on a line completing decompression stops. The gas you are breathing is humid and warm rather than the dry, cold air from a compressed air scuba cylinder and regulator set up. Again, this is a benefit as it helps you to stay warmer and is less dehydrating than using the aqualung, which is great from a health and decompression point of view. You don't use as much gas as you do on open circuit. Since the exhaled gas is recycled, not wasted, your limited gas supply will last much longer underwater, giving you better dive times. In fact, you are often only limited by the duration of the scrubber material in the can. 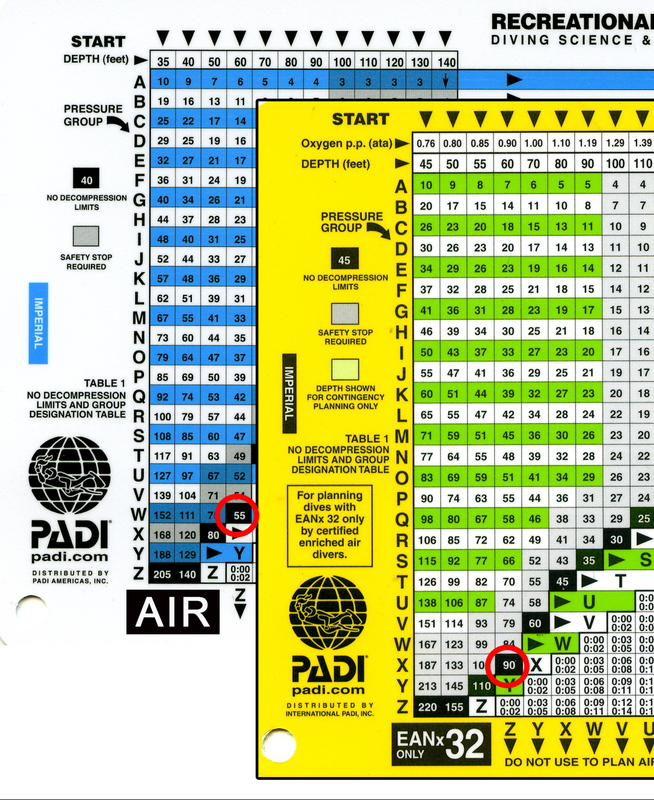 However, remember that you must carry bail out gases and so, the dive plan must account for the gas you will need to ascend on open circuit completing any and all decompression obligations along the way. In fact, the only real down side of the rebreathers is the initial set up cost to buy. 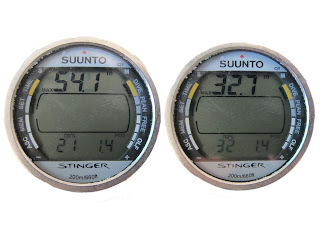 They are still relatively expensive to purchase, although if you are an open circuit trimix diver, you can make the money back on difference in price to fill 3l cylinders with a Helium mix on the rebreather to filling twin 12s with the same mix. Where in the past, rebreather diving has been something for Technical, mixed gas, decompression diver only, in recent years, a number of companies such as Poseidon and Hollis have been looking at opening it up to the recreational market by developing "plug and play" rebreathers for use down to 40m. 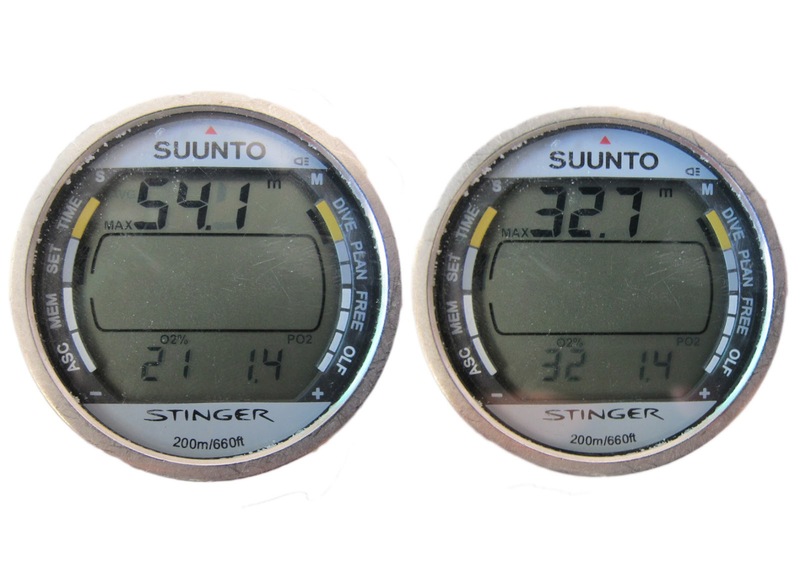 While these can still set you back around £4000, it is hoped that the price will eventually drop and make it more accessible to the everyday scuba diver. ISC has even brought out their "recreational" rebreather called the Pathfinder, which is a lovely little unit perfectly suited to the travelling diver.